Incorporating reused historical features while breathing new life into the building, Heights High School is transformed into a freshly updated home with a familiar feel. 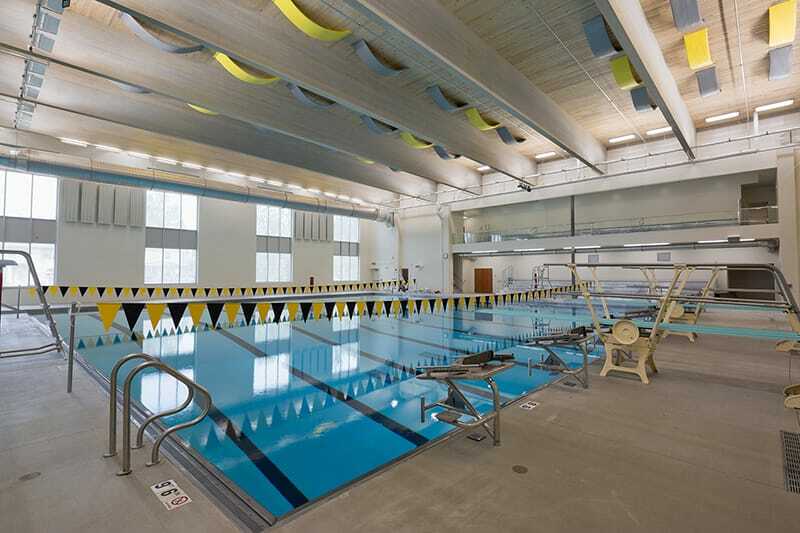 The transformation of Cleveland Heights-University Heights City School District’s Heights High School, built in 1926, included renovations and an expansion over multiple phases to address the changing needs of students in today’s learning environment. Numerous sustainable efforts were implemented to ensure the historic features of the school were honored in a way that complemented the design, while still ensuring the continued safety of the students and staff. The façade was constructed of brick and metal panels with brick details to approximate the adjacent 1926 stone. Historically-accurate, double-hung wood windows adjacent to the existing building were installed and modern aluminum windows were put in the metal panel facade. The team was able to salvage old stone entrances and reused the existing stone to create a 25-foot security intake portal. They also reused existing sandstone entry steps and matched new stone rails at the historic courtyard entrance. A critical component of the historic renovation was the clock tower, the peak of the building and focal point of the exterior. The team matched the existing profiles and used milled PVC product in order to restore the clock tower to its original beauty. 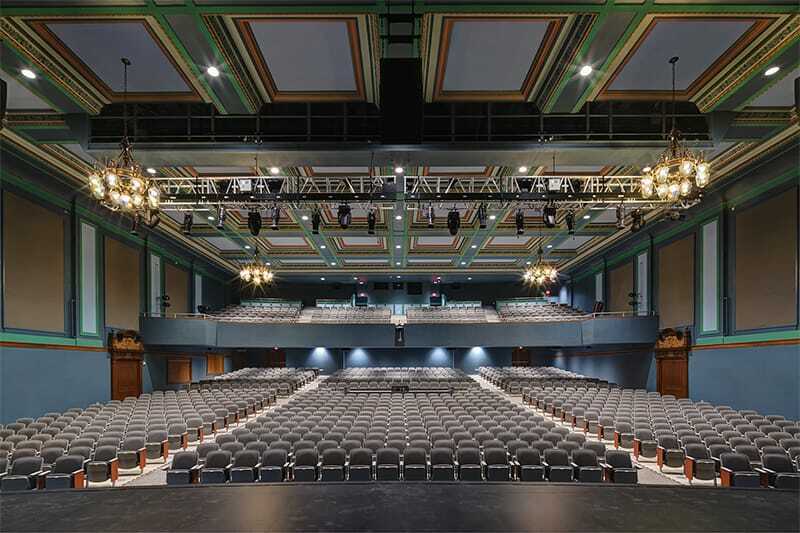 With nearly half of the materials from the project reused in the renovation, students and faculty can walk the halls of Heights High School and know the building they are in still holds true to its 1926 roots. See the completed project profiled in Properties magazine here. 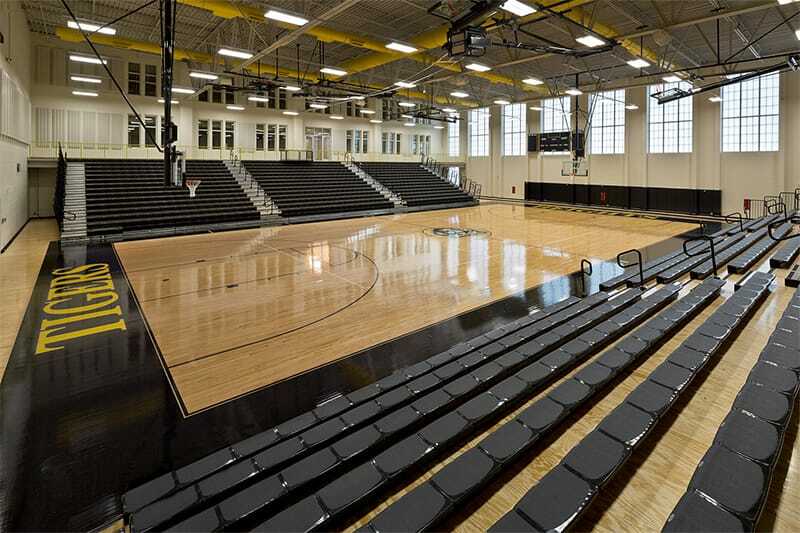 Gilbane worked closely with the school district as a true owner’s advocate throughout the project, hosting numerous tours for community officials, stakeholders and user groups such as the athletic department and music department. Having come across unforeseen challenges in the field, the team was endlessly dedicated to formulating effective solutions that not only addressed the problem at hand, but also positioned the project to save $3.4 million and eliminate five weeks from the schedule. Through disciplined oversight of subcontractors, resequencing of the schedule, selective material procurement and nimble management, the team was able to achieve the vision of the district and provide students with a refreshed place to call home.